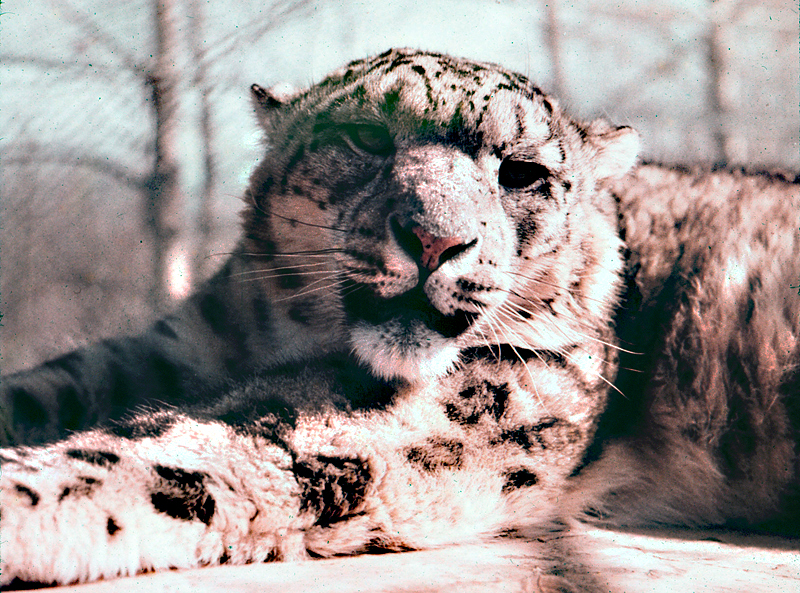 A snow leopard interred at the Alberta Game Farm, circa 1974. Mom and Dad inform me that we did visit the Farm once again after moving to Alberta, mostly so that my brother Sean could see it. I have hazy memories of this trip - really nothing more than sensory impressions of strong odours, chain-link fences, and perhaps a sea of cars in a field that served as a parking lot, though this could easily be a memory conflated with that of one of our trips to the Namao air shows. In its later years the Alberta Game Farm was known as Polar Park before shutting down for good in 1998. The Edmonton Journal has a pretty funny gallery here; my favourite is the one captioned "In 1978, gorilla escapes were a problem." We lived in Alberta amost all my childhood and never went to the Game Farm, but once while I was in school part of it came to us. 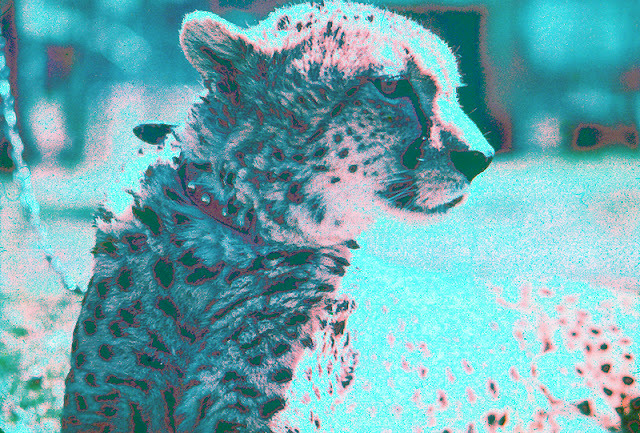 The cheetah that you have pictured, or one just like it, and Al Oeming came to my school and we learned what it was like to have a cheeta on the prairies. He told us that to exercise the fast cat they would tie a broom onto the back of a pickup truck and cheeta would chase it. They would raise a few eyebrows driving around on back roads with a cheetah chasing a truck. One of my parent's good friends used to be one of the caretakers at Polar Park. I don't remember ever going there when it was open but I did get to go visit after it had been closed to the public before the animals had been moved. The cheetahs were so tame that I, an eight year old girl, was allowed to take one for a walk! I also got to go into the pen with the wolverines (also very tame, although one tried to pee on me) and pet the "king cheetah." Growing up in Alberta, we visited the game farm several times and I have wonderful memories of it. I remember pulling into the parking lot and there were peacocks just wandering around and right away you knew you were in for something special. I remember the smells and the elephant ride, my mother was chatting with a camel and it spit on her, we all laughed but she didnt see the humor. I also remember the circus like train that you could get a ride or tour on instead of walking. I always walked and I remember it being huge. Mr. Oeming also came to my elementary school and brought the cheetah and told the story of the broom but added that while at some school the janitor while sweeping the halls came upon the cheetah and shortly thereafter he said you could see the cheetah running 55 mph across the football field with the janitor doing 60 mph just ahead of him. 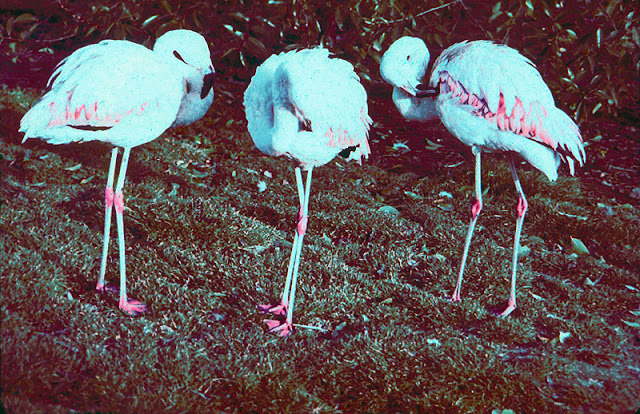 I have great memories of the zoo and always will, it was like a touch of Africa to me. Thanks Mr Oeming. Thanks for sharing your memories of Al Oeming and his amazing animals, everyone! 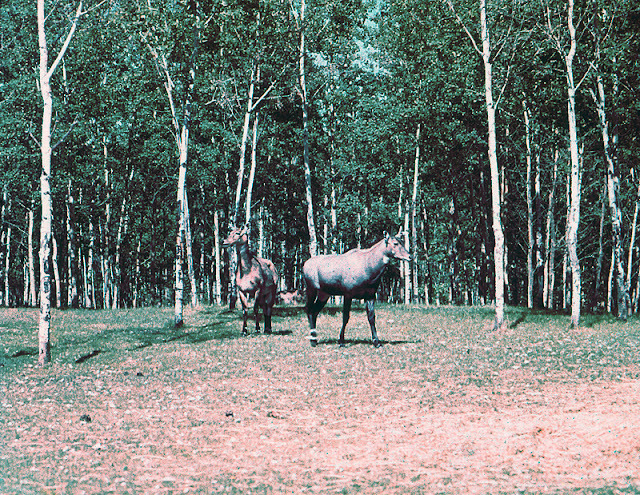 I visited the Alberta Game Farm in about 1970 and what has stuck with me til this day has been the wolves. The zoo was pretty new at the time and didn't have a lot going on, but I also remember the long cheetah enclosure with a clothesline device rigged up to whisk a piece of meat, at great speed,for the cheetah to chase. We didn't see it in operation that day. Does anyone remember those tall timber wolves? 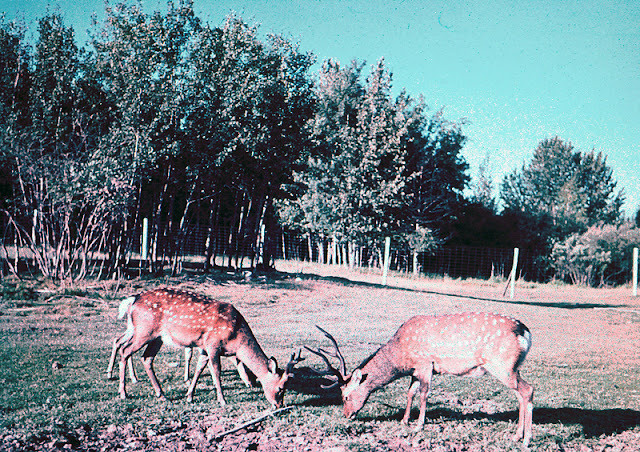 Hi, I just came across some (22) slides of my mother's dated 1977 of the Alberta Game Farm. I did a search to learn more about it and came across your site. Very interesting. You can find some interesting stuff in your parents' slide collections! Wikipedia could use some good photos for articles on the farm and Dr. Oeming. They have some coyright rules but you can ask on talk pages how to get them uploaded. My husband and I worked at the Ab. game farm in 1972. Interesting experience! I've tried locating anything re: Al's game farm, I stumbled upon your site, cool. My dad Murray Broadbent, and a good friend of his Junior Fix, were the two main bush pilots that flew into the far north capturing many of his animals. Wow, thanks for the update, Todd! Sounds like some exciting development is taking place. Earl, thank you for the memory. I toured park 1n 1973 with family. Was fascinated with the Apes. Reminded me of older gentlemen sitting around and chatting. Interesting the new development going on. From about 1964 -1969 we lived at South Cooking lake about 6-7 miles further east of the game farm on highway 14 . I had went to school with Todd Oeming who was Als son at the Colchester School earlier in the early 60s . When we moved to Cooking lake I would often ride my bic down the highway on Saturdays during the summer. Eventually In either 67 or 68 I got a part time summer job at the game farm as a garbage picker ( bag and pointy stick) it was my job to keep the park clean . I really don't remember a lot of the goings on but I got paid 15 cents an hour and free soft drinks and hot dogs ( for lunches ) . Some memorys that I do have was that they gave free rides on the baby elephant and sometimes the zebras and camels would get into really vicious fights. and I think I only saw a wolf once in the wolf compound . We moved from the lake in 69 that was the last year I ever went to the farm . Over all it was a fun experience but a lot of memories have faded over time .